Hackett: "We don't need the robot to get around." SAN FRANCISCO -- Ford Motor Co. CEO Jim Hackett doesn't foresee a robot takeover when it comes to the advent of autonomous vehicles. Hackett outlined his vision for future mobility at Ford's City of Tomorrow event in San Francisco on Thursday. Rather than predict an all pod-car streetscape within the next decade, he said technology will gradually augment current challenges, easing pain points such as limited parking and vehicle access that commuters deal with on a daily basis. "When you paint the robots as perfect and humans as imperfect, we've made a big mistake," Hackett said. "We don't need the robot to get around." 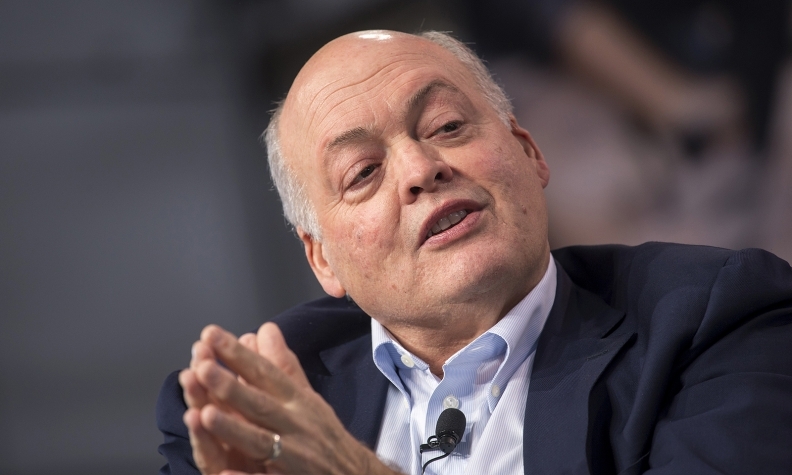 Hackett, who formerly headed Ford's Smart Mobility subsidiary before replacing​ Mark Fields as CEO in May, has been tasked with formulating Ford's mobility strategy in an increasingly competitive field. The company has invested in various transportation technologies, including lidar-maker Velodyne, mapping startup Civil Maps, bike-share company Motivate, ride-sharing startup Chariot and autonomous driving startup Argo AI. In July, Hackett said he was using his first 100 days as CEO to review Ford's future product plans -- which includes the introduction of a Level 4 self-driving vehicle for commercial use by 2021. To make the most of technological innovations in transportation, companies must examine every perspective, Hackett said, and work to create an egalitarian system. While automated technology can ease problems such as crash avoidance, navigating traffic accidents and parking options, it can't fully address problems of equal access on its own. Hackett said a combination of analog and new technologies will be necessary to create a better transportation environment. "Networks only get stronger by inclusion, there's no gain by carving someone out," he said. Hackett acknowledged that some of Ford's competitors in autonomous vehicle development have gained an advantage in data collection by operating services off of smartphones, adding that to deliver effective mobility services, Ford must be able to understand consumer patterns and preferences. "We need to be able to piece together these attributes of what inside a city are the pain points for customers today," he said. "We can then marry that technological capability to the stepping stones of the pain points in a city."